Last week I went into a meeting at The Venue, with an empty shopping bag. At 1pm every Wednesday food that would otherwise go to landfill is distributed to anyone who comes. But there was no food. Waste Not Want Not was started by Hadas on the Doddington and Rollo Estate. 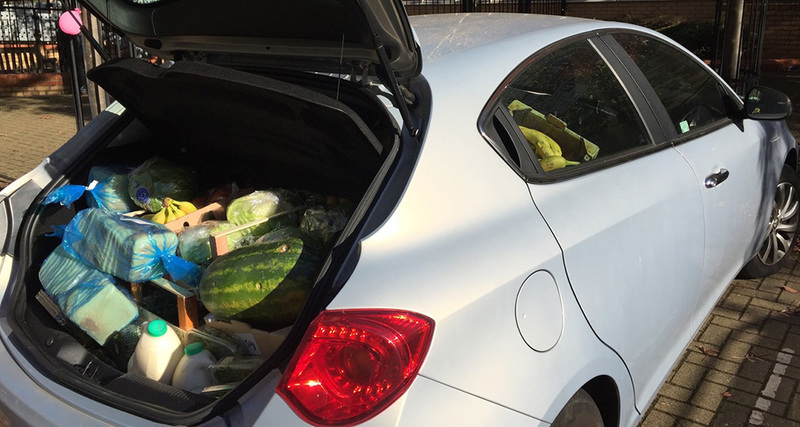 She relies on a volunteer driver to go with her to the New Covent Garden market at 6.30 am to pick up surplus fruit and vegetables. The volunteer was ill and couldn’t go. I have a car, should I volunteer or not? People were relying on the food being there so I delayed my meeting and went for my car. End result? I felt encouraged and it was fun!